Usually when I hear “great value” I think “That’s what nice people say about crappy wine” But I’ve found myself being pleasantly surprised more often than not these days. Although the economy seems to have improved since the low point several years back, the wine market seems to have taken a longer time to recover. From various articles and stories I’ve read recently it appears that people are still in a very strong value centric frame of mind. With that in mind I present to you, dear reader. Two white Bordeaux’s that will please your palate as well as your wallet! 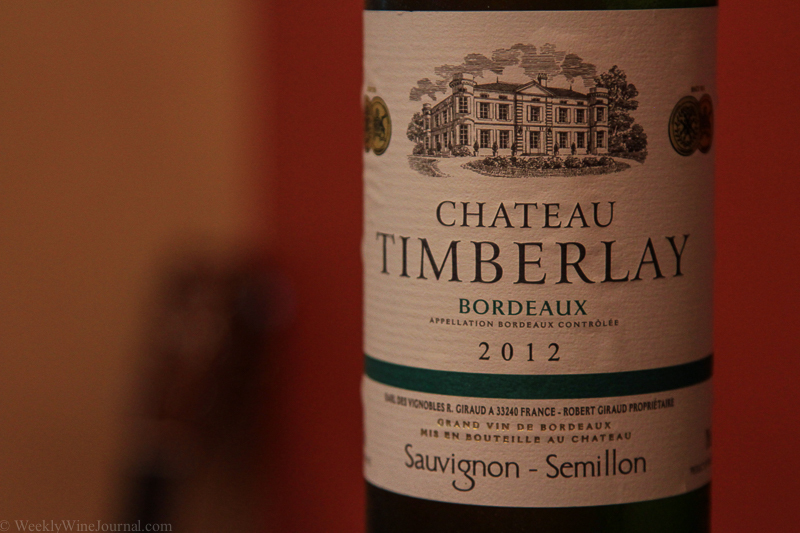 I had no idea at the time I was tasting this what the history of Chateau Timberlay was. I posted a pic on Instagram saying that this must be Justin Timberlake’s favorite wine. But it turns out that this is one of the oldest Chateaus in Bordeaux and dates back to 1366! Currently the wine falls under the Robert Giraud family of wines. The Giraud family still lives in the Chateau in the middle of the 300+ acre vineyard. The 2012 vintage is a blend of 60% Sauvignon blanc and 40% Semillon. The wine was fermented in stainless steel and weighs in at 13% alcohol. Chateau de Chantegrive, 2011 Graves. Graves is a sub region of Bordeaux and is well known for red wine production. Personally, I’ve been really impressed with the whites from this region. The name Graves comes from “Gravelly” which is what the soil is. Left over glacial gravel from the last ice age. 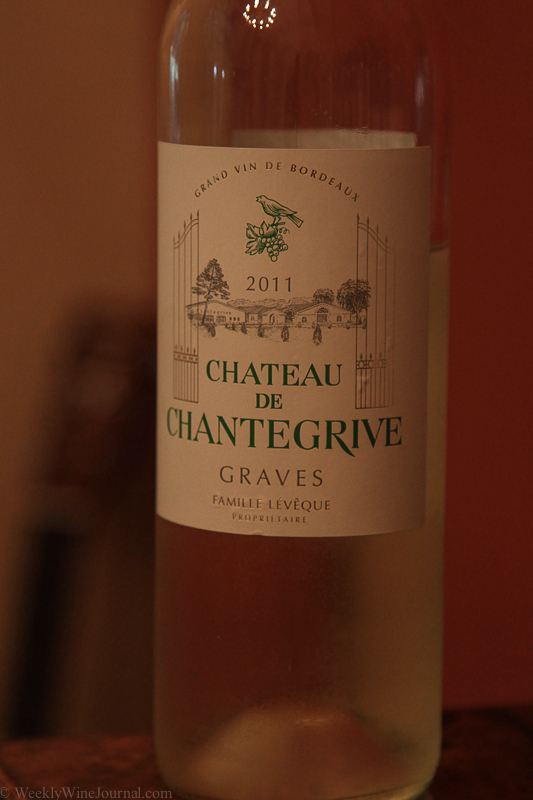 Chateau de Chantegrive was founded by the Leveque family in 1966 and today the estate has grown to about 230 acres with about 45 acres dedicated to the production of this wine. This wine is crisp. Really crisp. Sharp. In a good way. Think Grapefruit with loads of cool mineral notes. There is a hint of ripeness of the peach variety that plays into it later on, but it’s barely noticeable. This wine also retails for about $20. If you’re like me and like your white wines to be on the bigger bolder more tart and crisp side this is the wine for you. * disclaimer. I received both of these wines as review samples.